To see or not to see? Nonliterary types might find touristy Stratford-Upon-Avon to be much ado about nothing, but Shakespeare's hometown is blanketed with opportunities for Bardolatry. It's an easy side-trip from London, but an overnight stay is best to take in a performance of the world's best Shakespeare ensemble. Within Stratford's compact old town, you can walk easily to most sights. 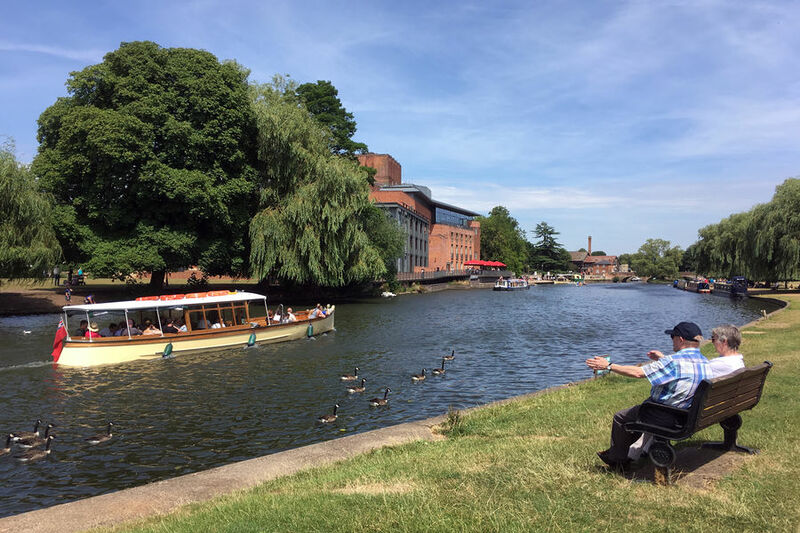 The River Avon, which flows right through town, has an idyllic yet playful feel, with rowboats, swans, and an old, one-man, crank-powered ferry just beyond the Royal Shakespeare Theatre. If you'll ever enjoy a Shakespeare performance, it'll be here…even if you flunked English Lit. The prime sight in town is Shakespeare's Birthplace, a half-timbered Elizabethan building where William grew up. This is also the house where Shakespeare and his bride, Anne Hathaway, began their married life together. I have to admit that I find the birthplace itself a bit underwhelming — it's as if millions of visitors have rubbed it clean of anything authentic. Still, the house makes for a good introduction to the Bard, largely thanks to its entertaining modern exhibit (which you see at the start of your visit) and the helpful, well-versed, and often costumed docents. With some imagination you might get the sense that Shakespeare's ghost still haunts these halls. To get a sense for the playwright's early education, visit the Shakespeare's Schoolroom and Guildhall sight. You can test a quill pen and play Tudor games in his classroom from the 1570s, and explore a guild headquarters and chapel to learn about social infrastructure in Shakespeare's day. Shakespeare spent most of his career in London, where he taught his play-going public about human nature with plots that entertained both the highest and the lowest minds. His tool was an unrivaled mastery of the English language. He retired — rich and famous — back in Stratford. Nothing remains of the house the Bard built when he made it big (it was demolished in the 18th century). But the atmospheric mansion grounds, now adorned with modern sculptures and traditional gardens, form another tourist sight: Shakespeare's New Place. 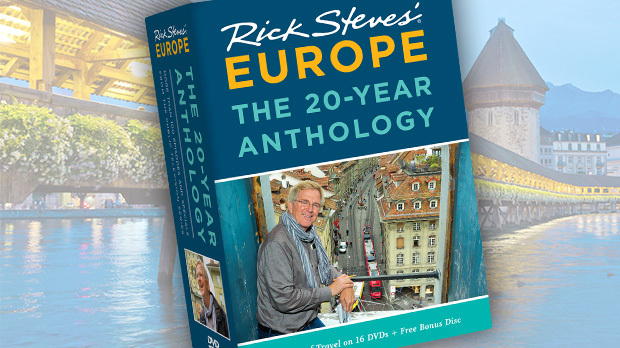 It's fun to contemplate him writing The Tempest in the place he called home for nearly 20 years. Next door, the house of Shakespeare's granddaughter (and her husband) hosts exhibits, including a large-scale model of Shakespeare's house, domestic artifacts, and period clothing. Hall's Croft, the old Jacobean former home of Shakespeare's daughter, is the fanciest of the Shakespeare-related houses. Since Susanna married a doctor, the exhibits here are focused on 17th-century medicine. There's little here about Susanna's dad — but the docents there can help bring the plague — and some of the bizarre remedies of the time — to life. Along with Shakespeare's birthplace, my favorite of the five main sights is Mary Arden's Farm, the girlhood home of William's mom. The farm is in Wilmcote, about three miles from Stratford, just two train stops from Stratford's station and a five-minute walk from Wilmcote's station. Built around two historic farmhouses, this attraction is an open-air folk museum depicting 16th-century farm life...which happens to have ties to Shakespeare. It's an active, hands-on place with period interpreters in Tudor costumes going through the day's chores such as milking the sheep and cutting wood to do repairs on the house. 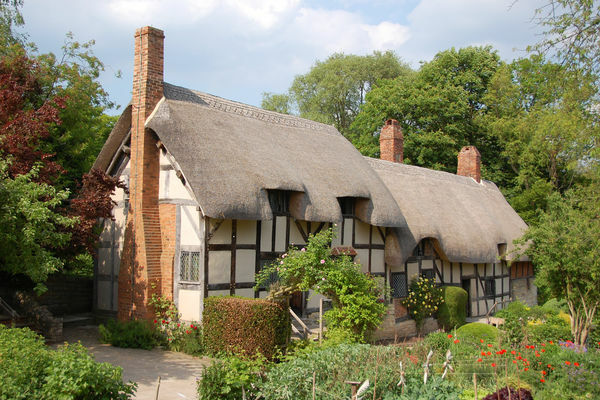 Anne Hathaway's Cottage is the 12-room farmhouse where the bard's wife grew up. (It's a mile out of town in Shottery — a 30-minute walk from central Stratford, a stop on the hop-on, hop-off tour bus, or a quick taxi ride from town). William courted Anne here — she was 26, he was only 18 — and his tactics proved successful. (Maybe a little too much, as she was several months pregnant at their wedding.) The Hathaway family lived here for 400 years, until 1911, and much of the family's 92-acre farm remains part of the sight. The picturesque thatched cottage looks cute enough to eat, with tranquil gardens (along with a charming sculpture garden). It's fun to imagine the writer of some of the world's greatest romances wooing his favorite girl right here during his formative years. Shakespeare's grave is in the riverside Holy Trinity Church, back in town, where he had been serving as a rector in his last years. While the church is surrounded by an evocative graveyard, the Bard is instead entombed in a place of honor, inside the church and right in front of the altar. 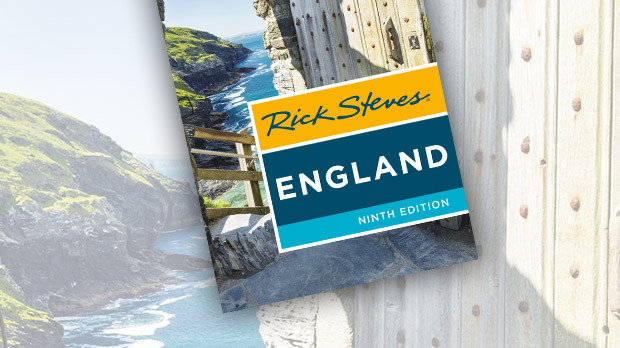 Shakespeare's hometown is seventh heaven for English majors and actors, but Stratford-Upon-Avon's half-timbered charm, with colorful canal boats and punts plying the river, make Stratford a fun stop for anyone. You might even come home with a new appreciation for the enduring impact made by the history's most remarkable playwright.